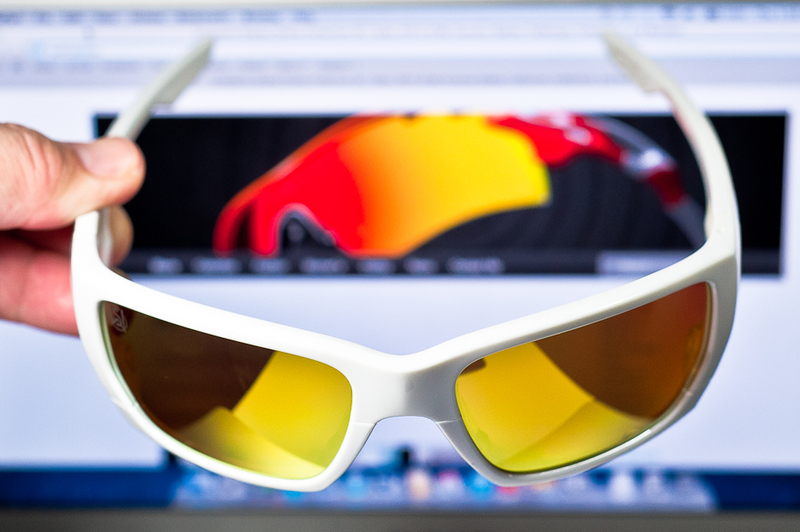 Here’s something fun for those that wants something chameleon, change the lens and you get another new pair of shades. Do remember to try the fit before purchasing as these are wrap sunglasses. 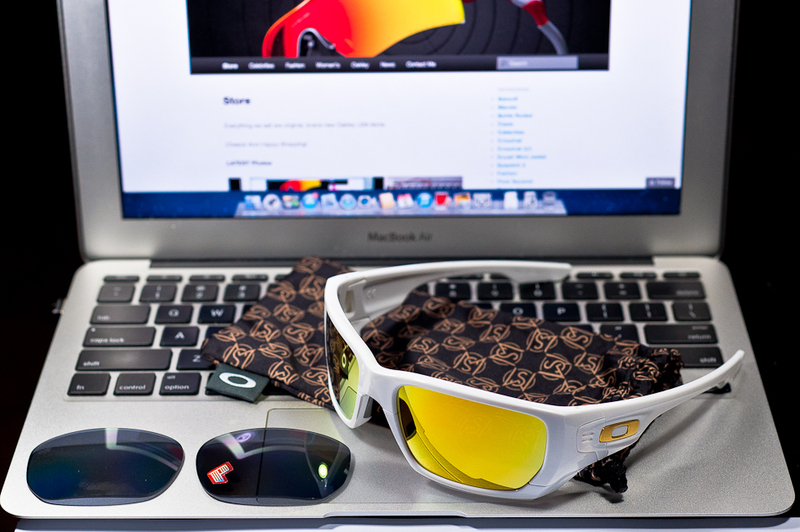 White frame, gold O logo, Gold Iridium lens installed, Shaun White Signature Oakley Pouch, secondary Grey Polarized lens. oops… that’s how u change the lens.